This intricate bracelet will add a touch of effortless elegance to your look whether worn day or night. We love the stylish bar design and pair ours with layers of silver and rose gold bracelets. Make yours extra special by engraving a meaningful date or initials. 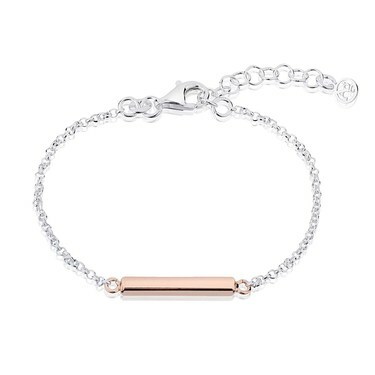 Hi, Im looking to purchase this as a gift for my Mum who has small wrists, I guess if I was to get it personalised I can not return it if it doesn't fit?